The Big Pancake Cowboy welcomed us to Columbus, Ohio. 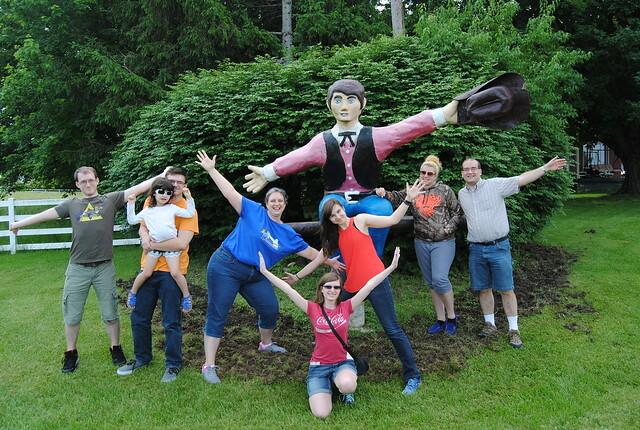 This was our first stop, so we all got out to get our picture taken with him. These iconic statues were part of the branding for Western Pancake House, a chain of restaurants which expanded to as many as three dozen locations around the Midwest by the early ’70s. 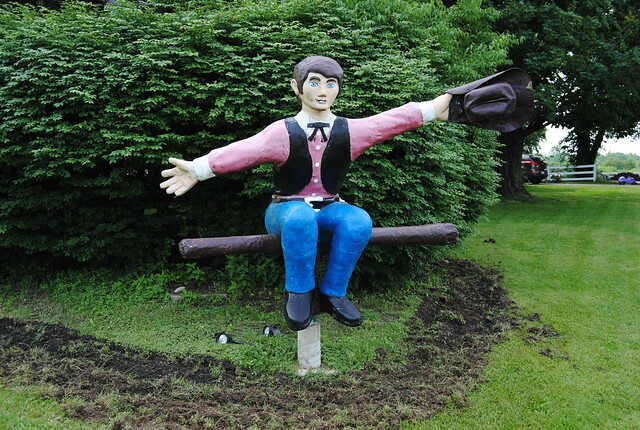 In 1984, the chain was sold and each cowboy was left abandoned by the roadside, stuck in time and waving their hats to greet younger generations with the mystery of their existence.